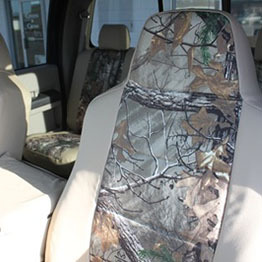 Enhance the look and feel of your Ford truck or pickup by installing personalized seat covers. 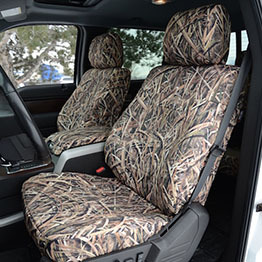 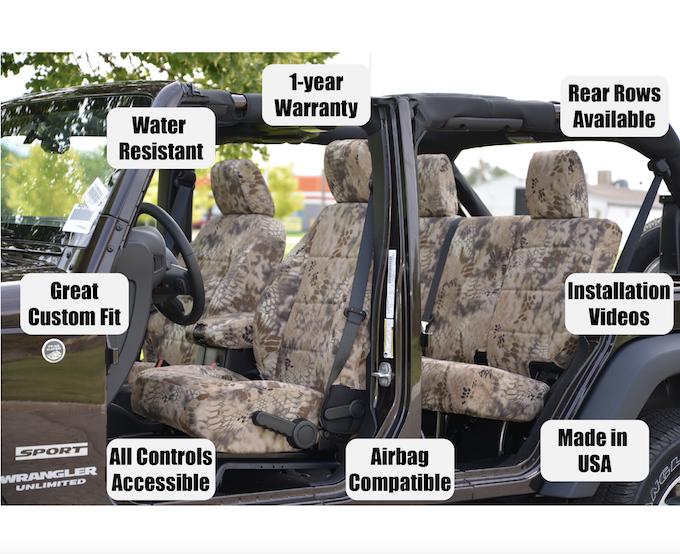 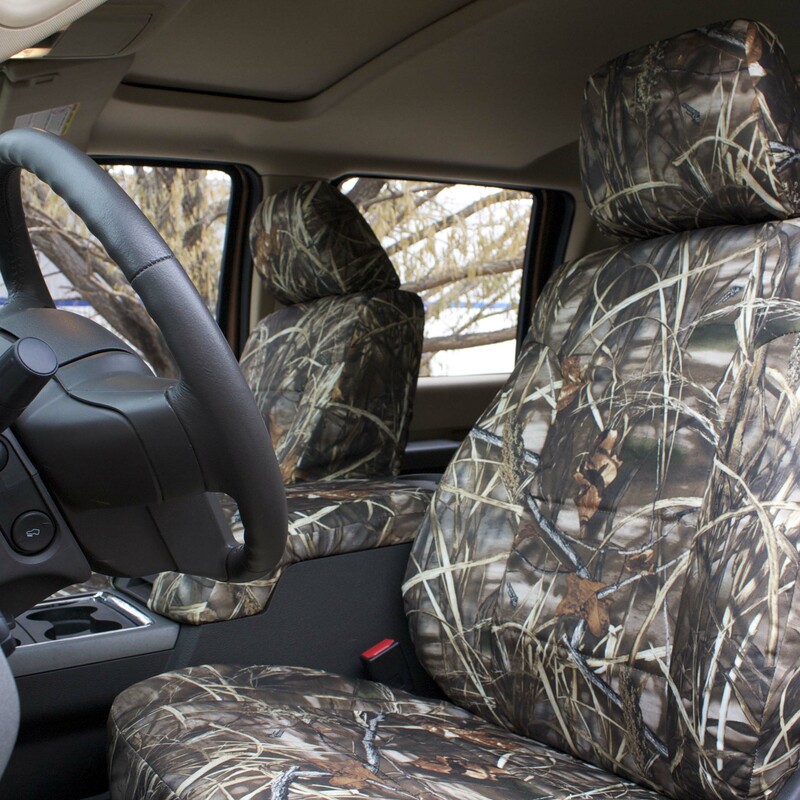 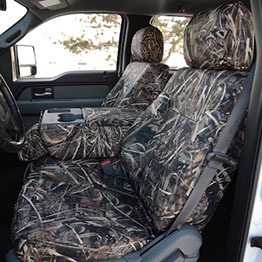 We have a wide inventory of seat covers at Covers and Camo to protect your seats and increase your Ford’s comfort. 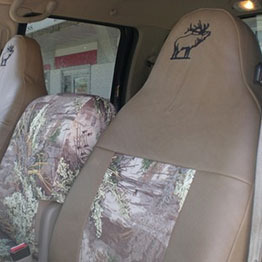 The seat covers we carry come in a variety of materials, custom fit for any Ford model and sold at an affordable price. 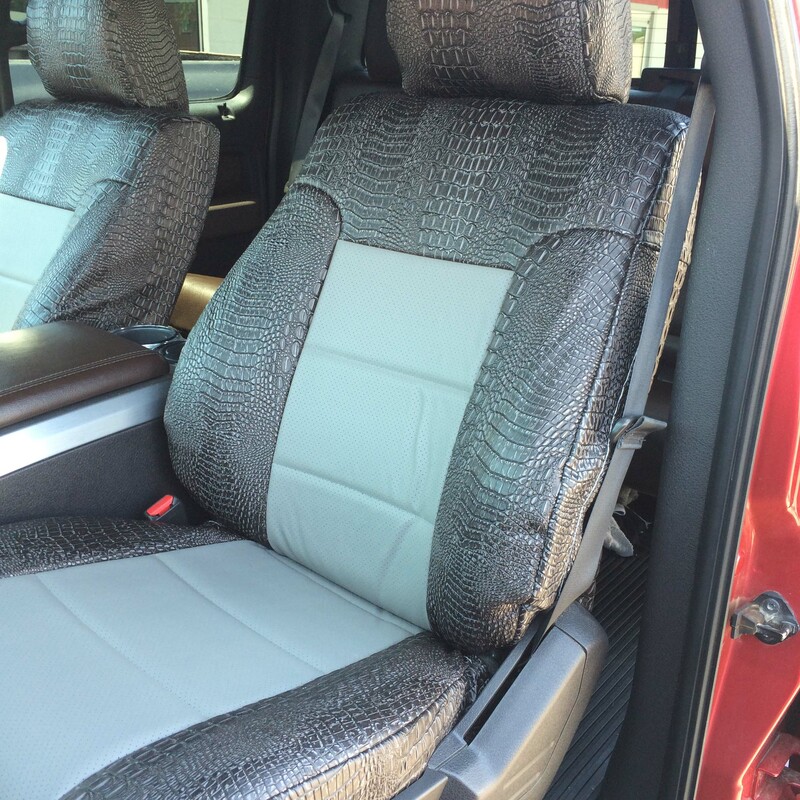 Our Ford seat covers are 100% U.S. made, water repellent and some are made of leather for added luxury. 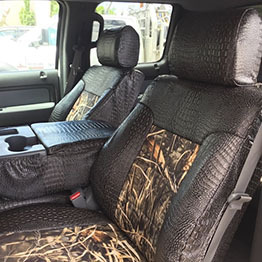 If you have a Ford that could use defense against the weather, make sure you install custom seat covers created especially for your truck. 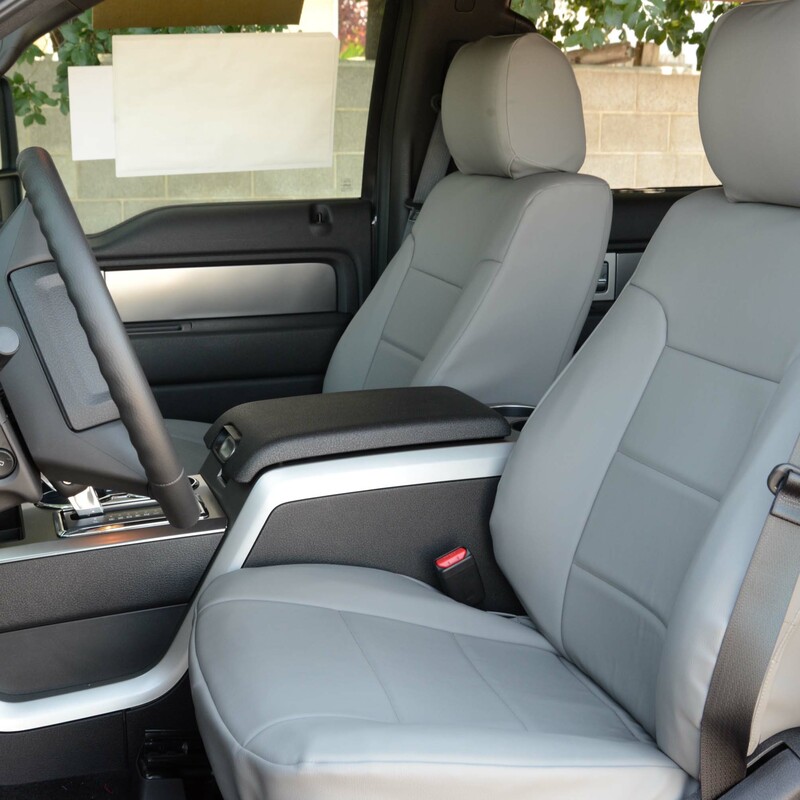 Our tailor-made covers have a snug, durable fit with a tough surface that helps to protect your seats from whatever comes their way. 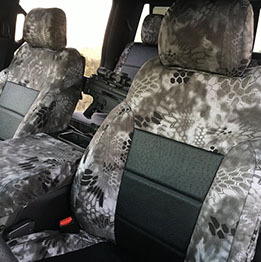 These are one-of-a-kind seat covers for any Ford model truck, whether you have an F150, F250 or F350. 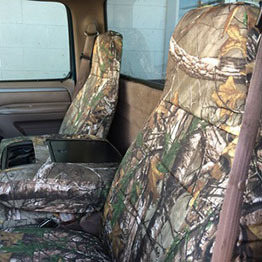 Our pickup seat covers are available in a large variety of styles and fabrics. 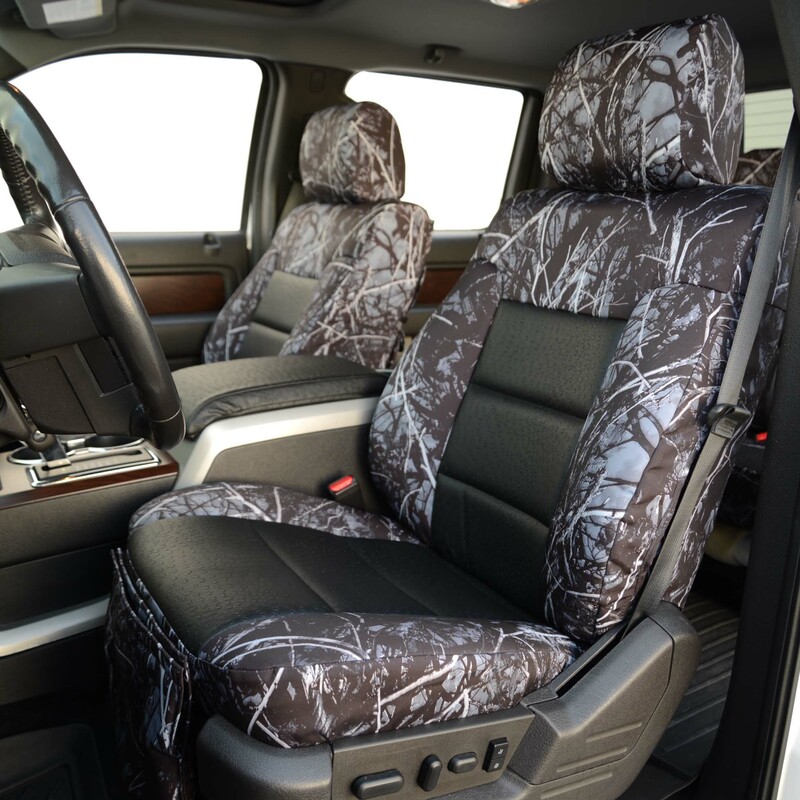 They’ve been laser cut to fit the exact Ford model you own, from Mustangs and Rangers to trucks and pickups. 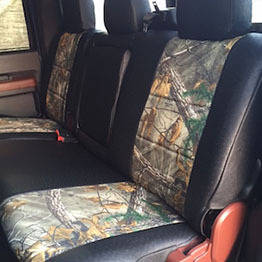 For outdoor enthusiasts and hunters, we offer seat covers in many variations of camo styles and colors, all of which are made of abrasion and water-resistant fabrics. 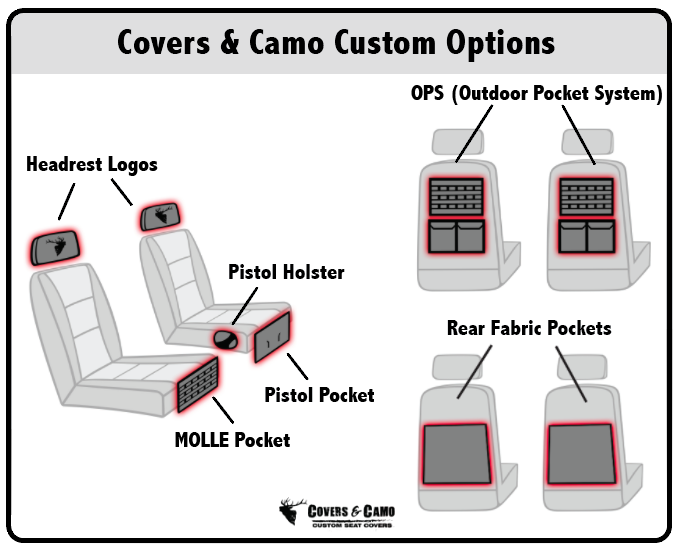 Our tactical add-ons offer your truck more versatility with pistol holsters, pockets and MOLLE webbing for any firearms or other hunting gear. 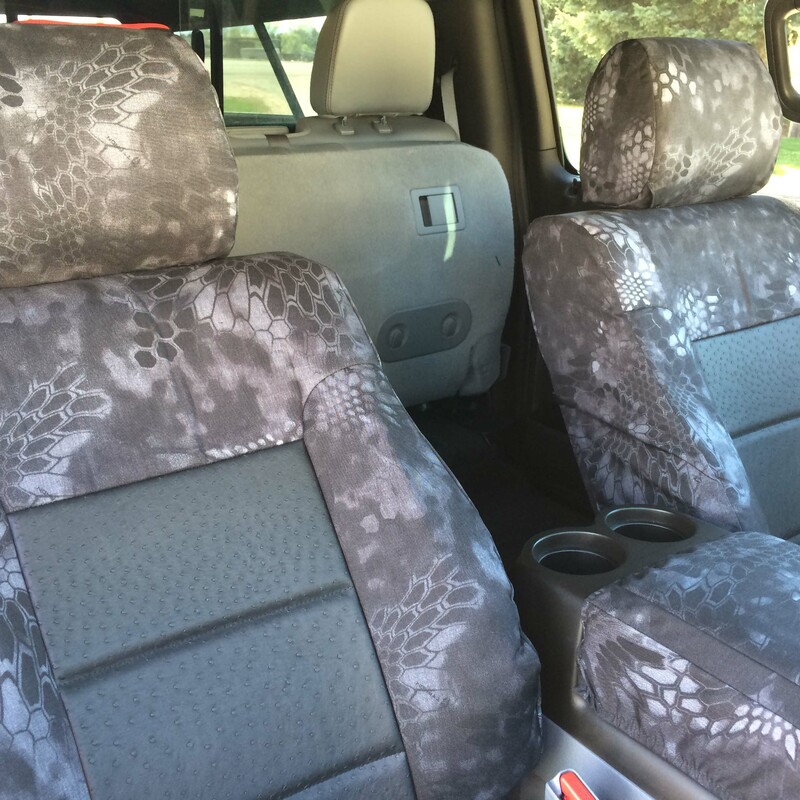 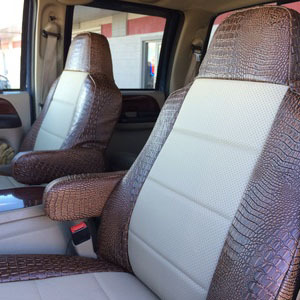 Our leather, croc, ostrich and Sof-touch seat covers provide your truck with luxury textures that are durable too. 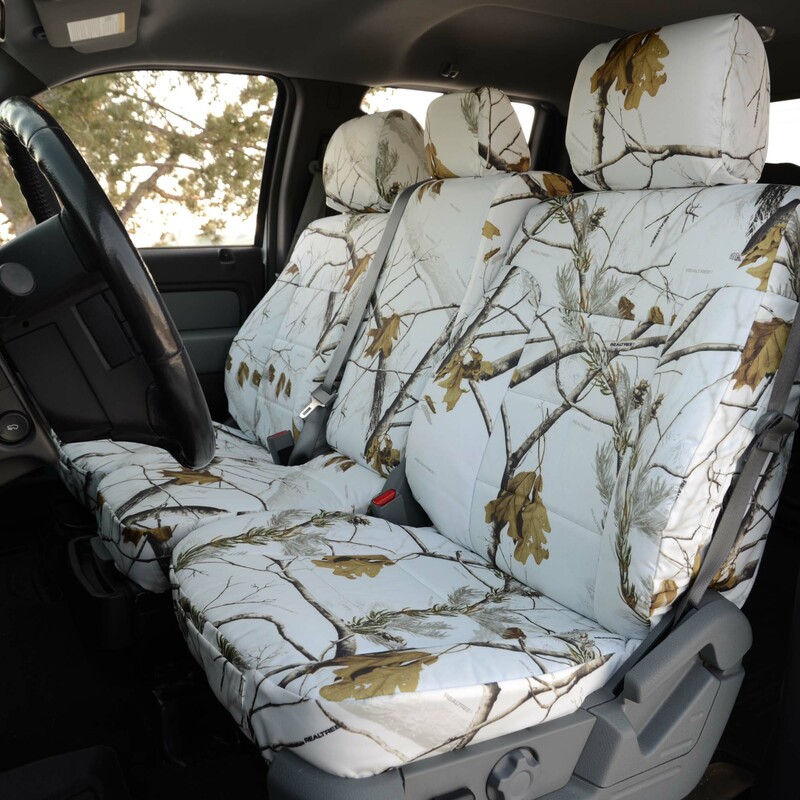 These seat covers come in white, brown, gray and black. 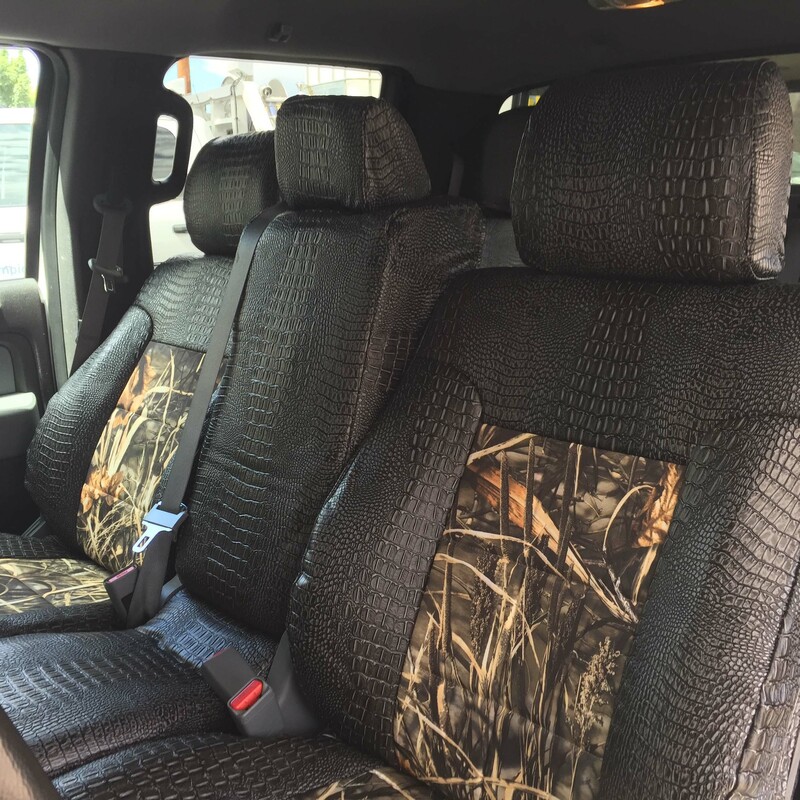 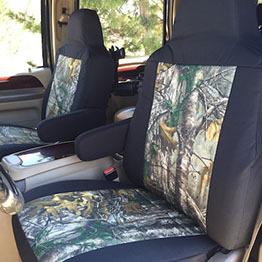 Covers and Camo is a family-owned and operated seat covers company that’s been in business more than 35 years. 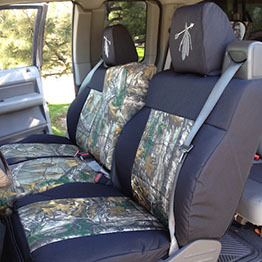 We take pride in the high-quality and custom seat covers we’re able to provide our loyal customers. 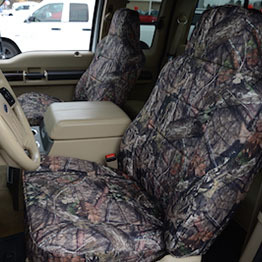 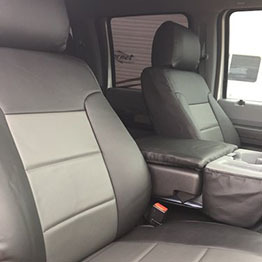 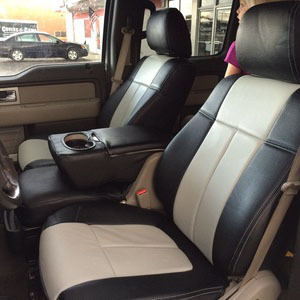 Our vast experience allows us to offer the best fitting Ford truck custom seat covers around. 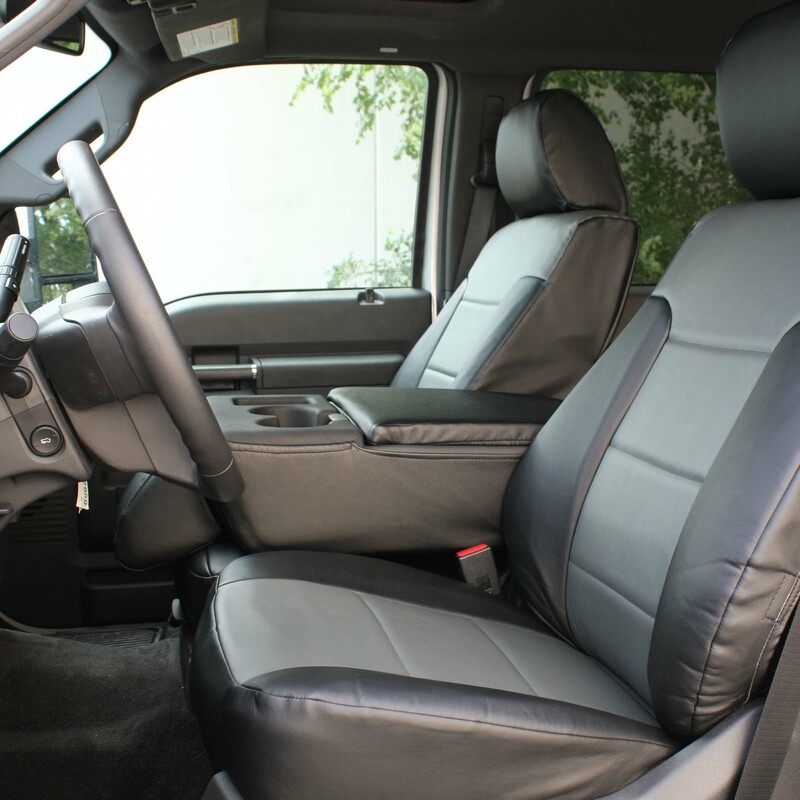 Read our testimonials for real customer experiences and feedback. 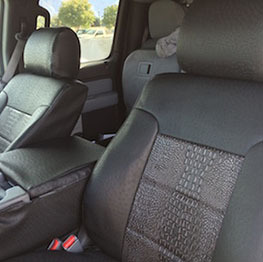 To order your Ford seat covers today, contact us at (435) 789-2270 or try our easy online ordering tool.